Send Birds Of Paradise anywhere in Ireland. A birds of paradise bouquet speaks of tropical breezes and exotic islands. No matter the occasion, this lively and fun bloom is sure to brighten the recipient’s day, especially when it’s part of a hand-tied Bloom Magic bouquet. We focus on creating a quality presentation that leaves a lasting impression and use only fresh-cut flowers, so each bouquet remains vibrant extraordinarily long. 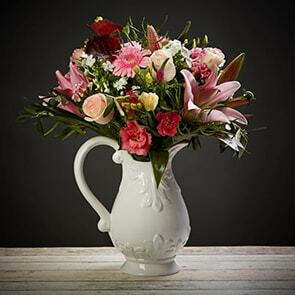 With next-day flower delivery Ireland and same-day flower delivery Dublin, you can trust your gift will arrive on time, even if you wait until the last moment to order. Birds of paradise are known as a symbol of joyfulness, with vivid orange and blue colours and unique textures which resemble the head and beak of a tropical bird. This makes it ideal for get well gifts, congratulations flowers, birthdays, and more. Our catalogue is filled with fun and exclusive designs, created expressly for Bloom Magic by Ireland’s top florists. We focus on having a natural presentation without excess packaging, so the natural vibrant colours of the blooms shine though, and we use local blooms whenever possible, ensuring you always get the freshest bouquet imaginable. If you’re sending your arrangement as a gift, consider adding an extra touch with a beautiful vase, boxed chocolates, or a personal note to celebrate the occasion. Flowers are our specialty, and we care about our customers. When you order a bouquet from us, your satisfaction is guaranteed. 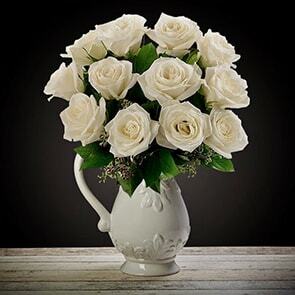 We hand-select the perfect flowers for your arrangement and we promise that our flowers will stay fresh for a full seven days after arrival, so you can send flowers with confidence. Our online service makes sending flowers easy, but we’re always available to answer any questions and assist you with your order. You can reach us by phone, email or via the live chat on our site. Let us know how we can help or browse our selection now.